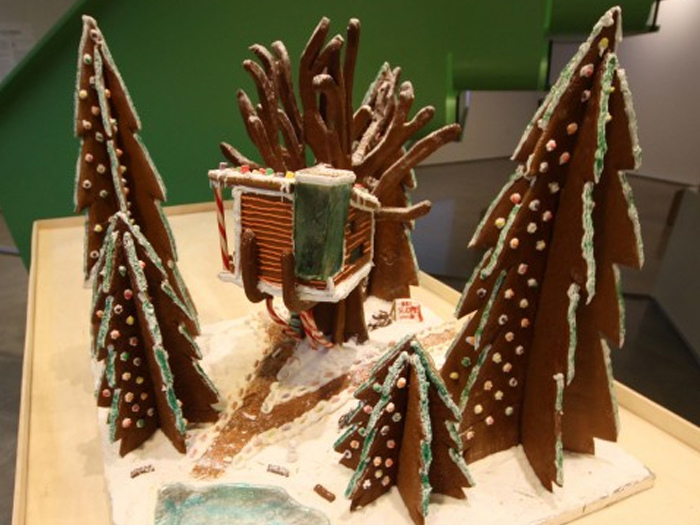 10 Architectural Gingerbread Creations from 2012 to Make You Salivate! 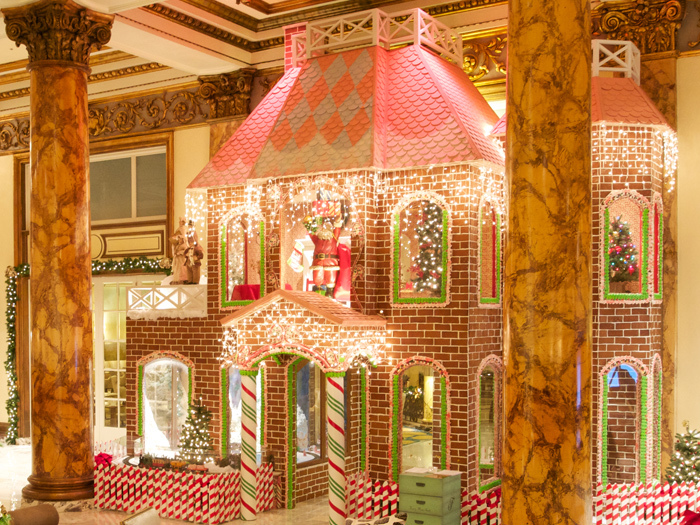 We have a bit of a sweet tooth for gingerbread <a href="https://inhabitat.com/architecture/">architecture</a>, since it combines joyful holiday tradition with a reverence for superior building design. These intricate works of art are created by architects, chefs and baking enthusiasts seeking to share their common love of cookies and confection. 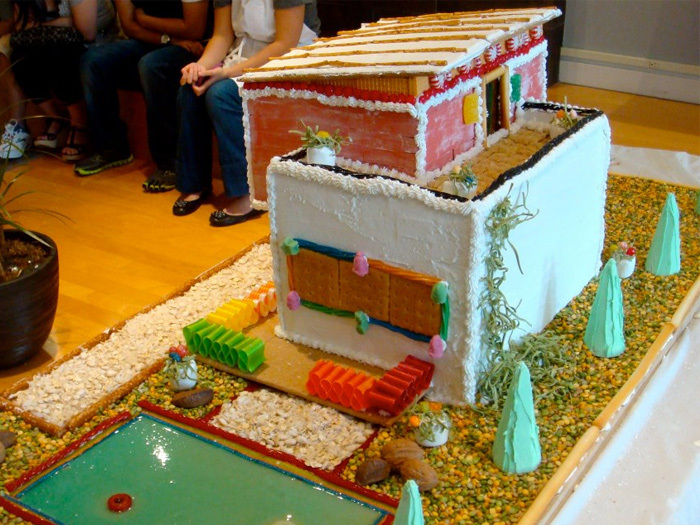 These "gingerbread architects" do not limit their work to a particular building style - they create <a href="https://inhabitat.com/top-10-deliciously-modern-gingerbread-houses/">modern residences</a>, scaled monuments, fantastical castles, and even deep ocean habitats. 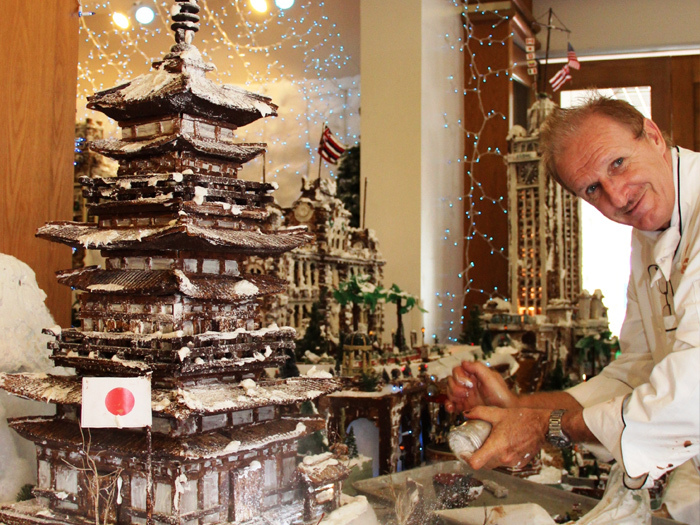 For 2012 we've rounded up a new crop of unbelievable gingerbread buildings that are honestly just too good to eat! <big><strong>2. Santa's German Gingerbread Village at the Sheraton Princess</strong></big> <br><br> An annual tradition at the <a href="http://www.starwoodhotelshawaii.com">Sheration Princess Kaiulani</a>, Executive Chef Ralf Bauer has created an edible winter wonderland, which this year is themed “Hawaii and the World, a Global Holiday Celebration.” The Chef and his team spent over 800 hours designing, constructing and setting up the village which includes landmark buildings from around the world, as well as local Hawaiian architectural icons. The village replicates in yummy baked goods the Eiffel Tower, London's Tower Bridge, a Japanese Pagoda, plus an entire German village with medieval churches, bell towers, train stations, a carousel, a skating rink, and a castle to replicate the homeland of Chef Bauer. The construction required 250 gallons of icing, 150 pounds of dark chocolate, 50 pounds of white chocolate, and 90 sheets of gingerbread. The village will be on display through January 2nd. <big><strong>4. Architecture Demarest Modern Gingerbread Residence</strong></big> <br><br> In an annual architectural standoff of the masters in baking, Dallas's <a href="http://www.facebook.com/pages/TKO-Associates/417022585029879">TKO showroom</a> selected this modern residential gingerbread house as their first place winner. Built by <a href="http://www.architecturedemarest.com/main.html">Architecture Demarest</a>, the home's cantilevered design and delectable landscaped yard with swimming pool is a unique take on this cookie home building tradition. <a href="http://tkoassoc.com/">TKO</a> says that their competition focused on “architecturally sound and design driven houses,” and that all the fun is in the spirit of charity. This year’s competition will benefit the <a href="http://citywalkplayground.com/">CityWalk Playground</a>. <big><strong>5. San Francisco Painted Ladies Tribute</strong></big> <br><br> Now in its 4th year tradition, the Fairmont has been creating larger than life gingerbread buildings. In a joint effort between the <a href="http://www.fairmont.com/san-francisco">Fairmont Hotel</a>'s kitchen and engineering groups, a 22ft high tribute to San Francisco’s very own <a href="http://en.wikipedia.org/wiki/Painted_ladies">Painted Ladies</a> has just been unveiled. Known for the brightly painted facades, these homes in San Francisco are a major attraction for camera-wielding tourists. <big><strong>6. Gingertown</strong></big> <br><br> <a href="http://gingertown.org/">Gingertown</a> is the best example of creative collaboration between large numbers of gingerbread architects. 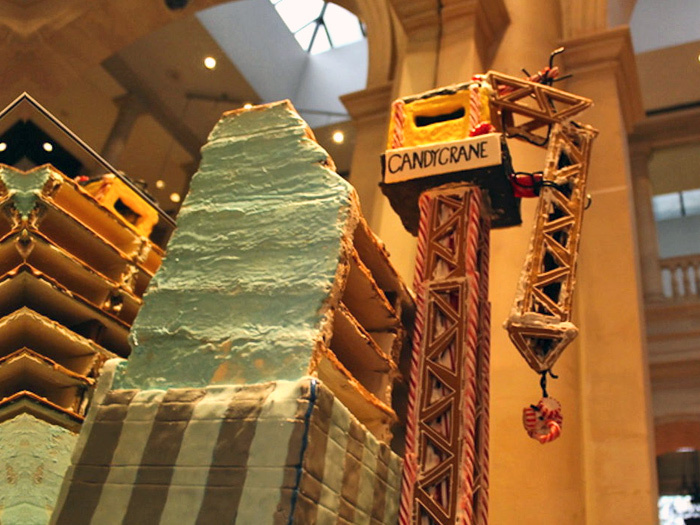 Founded in 2006 by David M. Schwarz Architects, invites leading architects, designers, and architectural firms in the D.C. area to design an build an entire city of candy, cookie, and confection. 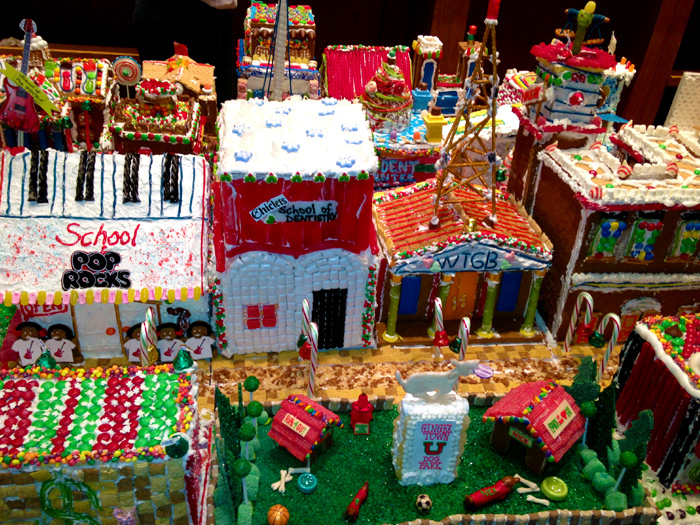 Participants chose a plot from a master plan designed by <a href="http://www.dmsas.com/">David M. Scwarz Architects</a>, and are then free to develop their hand-crafted gingerbread building any way they like. This year's town displayed over 50 buildings including a dental office, dog park, clock tower, coffee shop, and bookstore set facing candy sprinkled street with candy cane street lights. In addition to raising sponsor funds to give to charity, the <a href="http://gingertown.org/sponsor/">Gingertown</a> buildings are donated and displayed at local hospitals, health care facilities and community support organizations to help spread the message of joy and hope during the holidays. <big><strong>8. 2012 Handlin Garrahan and Associates Gingerbread Tree House</strong></big> <br><br> The Cambridge architecture firm <a href="http://www.hgz-arch.com">Handlin Garrahan and Associates</a> took a different twist on ginger building for the <a href="http://www.cdrc-boston.org/">Community Design Resource Center</a> competition by submitting a treehouse retreat. Dwarfed by the surrounding gingerbread trees, this small home supported on "tree" branches looks like the perfect eco-architecture cabin. <big><strong>9. 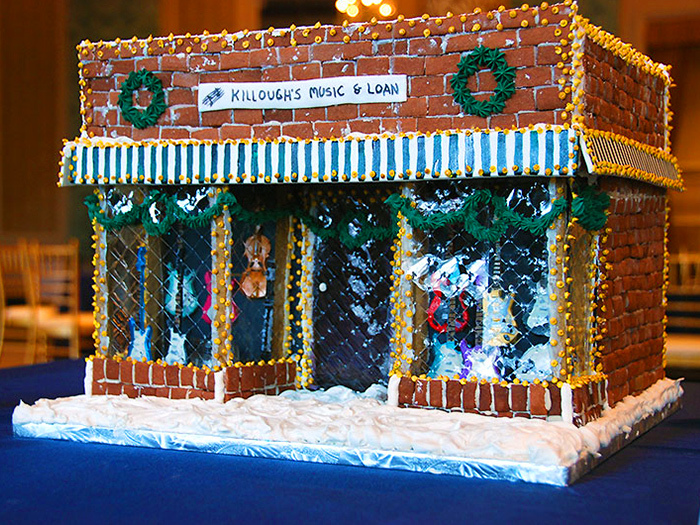 Killough's Music and Loan</strong></big> <br><br> Chicagoland gingerbread enthusiasts and together with students from the <a href="http://www.frenchpastryschool.com/">French Pastry School</a> brought edible interpretations of their favorite hometown storefronts to The Drake Hotel to take part in <a href="http://www.pastrychicago.org/">Pastry Chicago</a>'s Seventh Annual Gingerbread House Competition. 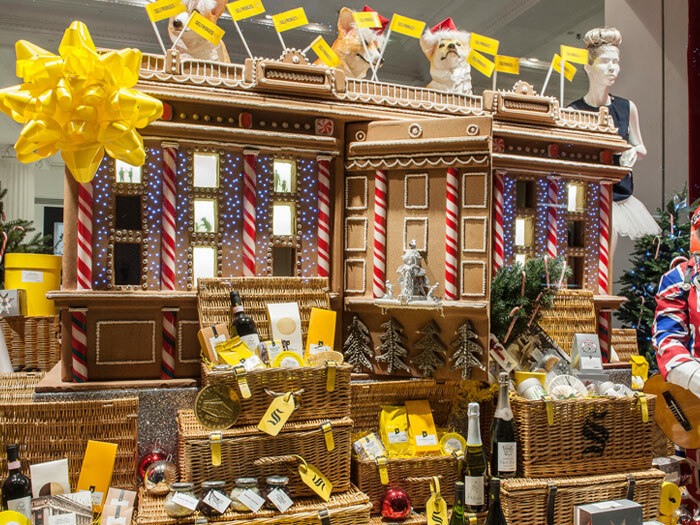 This year, participants were asked to recreate their favorite storefront in 100% edible scale models. Kelsey Sewell, inspired by architecture from her childhood, won first place with her replica of <a href="http://www.facebook.com/pages/Killoughs-Music-Loan/182837585087423">Killough’s Music and Loan</a> in Marion, North Carolina. Sewell cut out and hand-painted mini gingerbread guitars and displayed them behind window panes made of gelatin sheets. Although this project is still in progress, we wanted to give a special mention to Renne Baumann's gingerbread brownstone. In tribute to the <a href="https://inhabitat.com/nyc/new-york-runs-out-of-brownstone/" target="_blank">residential architecture of Brooklyn</a>, baker Renee Baumann’s created a intricate <a href="https://inhabitat.com/diy-how-to-make-a-gingerbread-brooklyn-brownstone/" target="_blank">gingerbread brownstone</a>. 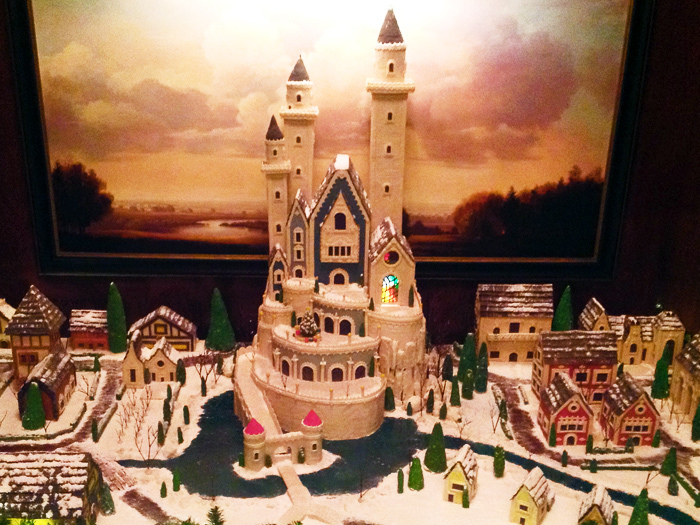 Baumann is looking for partners to help in the creation for a full city gingerbread block for charity! Get more details on <a href="http://kitchentablescraps.com/baking/gingerbread-block-project/" target="_blank">joining her cookie conquest here</a>. 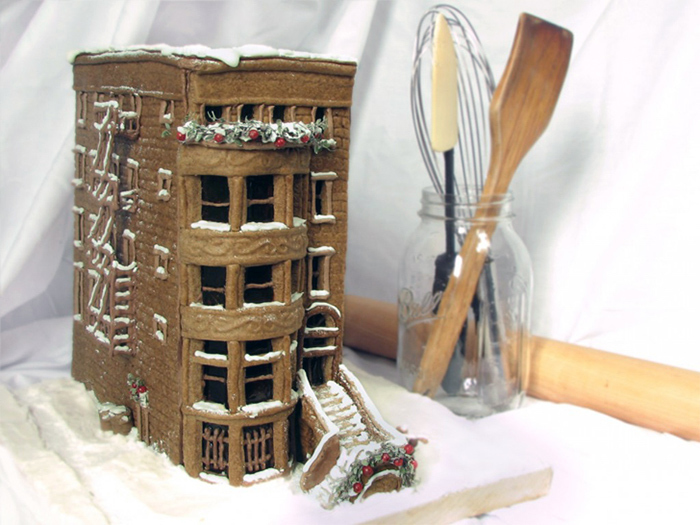 We have a bit of a sweet tooth for gingerbread architecture, since it combines joyful holiday tradition with a reverence for superior building design. These intricate works of art are created by architects, chefs and baking enthusiasts seeking to share their common love of cookies and confection. 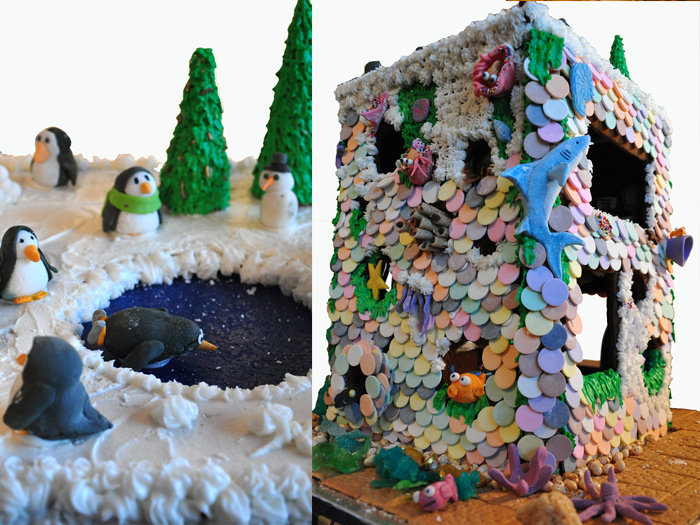 These "gingerbread architects" do not limit their work to a particular building style - they create modern residences, scaled monuments, fantastical castles, and even deep ocean habitats. 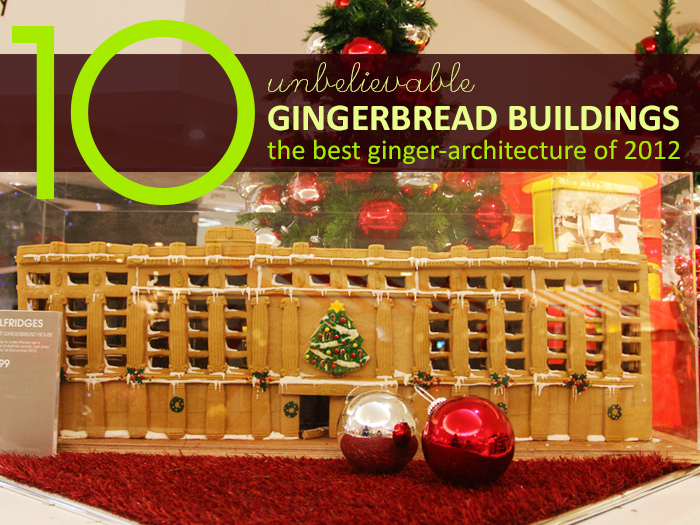 For 2012 we've rounded up a new crop of unbelievable gingerbread buildings that are honestly just too good to eat!